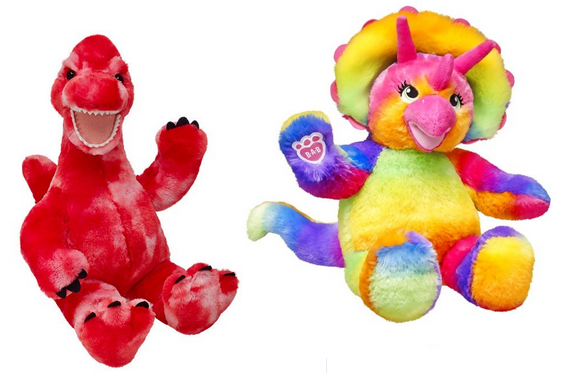 Build a Bear has dinosaur stuffed animals on sale with prices starting at $12. There are 15 stuffed animals on sale. Sale ends tomorrow October 13. This sale is DINO-MITE! Select dinosaurs starting at $12. Online only. While supplies last. Ends 10/13.